History of Simulation games dates back to 1984 with the game called Fortune Builder. Simulation video games aim to simulate real world activities thus being the most complex game genre in terms of overall development and later for players to play. These games usually have the most realistic physics and replicate real world objects very closely. As for the goal of simulation game, well there isn’t a specific goal, as the player is allowed to freely control the character. Well-known types of simulation games are usually sports games, life simulation games, construction and management and war games. With all this in mind, let’s check which are the best simulation games for PC. Like always, we like to start from the most popular and descend further to the less popular games. Flight Simulator X is one of the most recognizable flight simulation PC games. It’s developed by Microsoft Games Studio and is strictly a PC game. What makes this game series great is that it’s one of the oldest flight simulation game series and also the best flight simulator game to date. Aside from boasting 18 planes and 28 detailed cities, Flight Simulator X has over 24000 airports and even more cities and aircraft available in a deluxe edition. As you can see, this game is really big and will keep the players engaged at all time as there is multiplayer available. Multiplayer encourages players to fly worldwide and meet with the other players and is a great addition to this game. Because this is a simulation, don’t expect easy controls and flying. At the beginning, flying could represent a problem for some players, but once you get into it, you’ll feel like a real pilot! This game has great graphics, and overall gameplay focused strictly on realism making it a great game not just for those who like simulation games, but also for newbies. At the end of 2014, Italian game developer Kunos Simulazioni launched its title named Assetto Corsa (Racing Setup, in Italian). Assetto Corsa is a great racing simulation game with a high emphasis on realism and overall moddability. There isn’t a story like you expected, instead, developers focused on bringing the most realistic and beautiful looking simulation game at the time- and they did it. Assetto Corsa looks and plays great. It’s well optimized but still requires a solid PC to run smoothly. As this is a simulation game, controls can vary, and most of them are user-customizable. Players can enable or disable braking assists, steering assists, ABS, stability control, etc. On top of that, a wide variety of modern and old-school sports cars can be chosen. The player is then allowed to customize various parts of the car and testing it, to be sure that it fits his style of driving. This is great because you can use that car in multiplayer where competition is much stronger than in singleplayer. DCS stands for Digital Combat Simulator, and it represents a combat flight simulator, unlike Flight Simulator X, where combat is excluded. Although it’s a free-to-play game, DCS World is surely one of the best flight simulators you can play today. It features many different aircraft, missions, campaign editors, mission generator, dynamic weather system, sea and land combat units, and weapons. Because of this, DCS World isn’t just a flight simulator but a war simulator. It’s released back in 2008, and since then it underwent some major updates, and several new plane models were added. On top of that, this game doesn’t require that capable PC so almost anyone can run it. As this game features a lot of combat, we recommend to learn how to fly first, and then engage in combat with the other players or AI included in the game. ARMA 3 comes from developers famous for their Operation Flashpoint series- Bohemia Interactive. Operation Flashpoint, however, didn’t receive plausible reviews, while ARMA 3 was well reviewed and popular war simulation game. Unlike previous games mentioned, ARMA 3 has a story- a good and compelling story. The entire game is set on two islands called Altis and Stratis, and there are various factions like NATO, AAF or CSAT available for the player to interact. The player has a possibility to do the missions for or against these factions thus having an impact on the game ending. Although it has a great story, ARMA 3 boasts some of the most realistically created weapons in the game. Every weapon behaves differently, and combat focuses on being the most precise at a long distance. This game represents quite a challenge that will punish every player’s mistake, so step on the battlefield if you dare! Euro Truck Simulator 2 is a vehicle simulation game where the player is tasked with driving various trucks across the Europe and transporting cargo from one destination to another. At the beginning of the game, the player chooses his HQ and starts driving. By earning money, the player can buy better trucks and also get better job offers. It’s a very cheap game on steam, so it’s very accessible to every gamer. F1 2015 is one of the best games in the F1 series, and it’s the reason why we mentioned it here on the list. F1 205 is a driving simulation game where you can engage in races with famous Formula 1 vehicles, with realistic handling, physics, and graphics. Like every racing simulation, here you can customize controls and Formula behavior to suit your driving style. Aside of that, there is a career mode available, and if you are more skillful, you can try multiplayer racing with other players online. Football Manager 2017 is the best football management game you can find today. This isn’t a game like PES or FIFA, and you don’t need to play football, but do everything besides that. In Football Manager 2017, you are put in the role of the manager of the football team you create and compete in the singleplayer career. You control everything from the player transfer, formation, play style and much more. This game is another great game in the series, and you won’t be wrong if you try any other game in the series. When talking about perfect Rally simulation, DiRT Rally is easily the best rally simulation game. It features a lot of new and old school licensed cars that are available for the player for racing across the various locations in Europe. Some are snowy like Sweden, dry, with a lot of gravel like Portugal and asphalt-packed like Germany. This game requires some fast reflexes and stable driving because of a complexity of the locations and realistic driving and physics. Silent Hunter 4 is a submarine simulation PC game, developed and released by Ubisoft. The player is put in the role of the commander of an American submarine in WW2 at Pacific theater. There are various game modes like career, single battle engagement and single war patrol. Multiplayer, however, isn’t available, because Ubisoft shut down the servers back in 2013. Farming Simulator 17 is a farming simulation video game, which locations are based on European and American environments. In this game, players are able to farm and do all the necessary work for one farm to succeed. There isn’t much to say about this game, so if you like an idea of being a farmer or if you don’t have one, feel free to try this game. The SIMS 4 is one of the most iconic life simulator games, and the whole SIMS series is pretty amazing too. SIMS 4 focuses on controlling Sims in various activities and relationships with the other characters in the game. Gameplay here is nonlinear, and there is no a particular goal so you can play the game however you want and how much you want. The SIMS 4 is one of those game that you either like or dislike, so you have to see it for yourself. HAWX 2 is another combat flight simulator, but it has some arcade elements in it, making it more accessible and easier to play. It’s released back in 2010, and there is a singleplayer campaign with the story, along with multiplayer. Although it’s not that big like Flight Simulator X, it’s still a great game for those who prefer a great flight simulation with a touch of an arcade. Wii version of this game is a lot different, however, and if you are interested in that version, you can buy it for a cheap price. WW2 was surely one of the most brutal wars ever waged, but it was the most brutal and ruthless in the air, and the IL-2 Sturmovik is here to prove that. IL-2 Sturmovik is a great WW2 combat flight simulation game focused on battles of the Eastern front. There is a total of 31 flyable planes and even more non-flyable planes that serve as enemies. The player can play with Australia, USSR, Germany, Italy, Hungary, etc. This game got its name after the Soviet Ilyushin II-2 ground-attack fighter, which plays an important role in the game and the most capable plane of the game. Although it’s released back in 2001, IL-2 Sturmovik still remains one of the most important WW2 combat flight simulation games of all time. This game is the most authentic game on this list and what’s more interesting is that the first version of the game was developed in under 48-hour period. In this game, the protagonist is Nigel Burke, who has his own surgeon clinic. He is performing various operations on his patients and even aliens in the later part of the game. Although the idea of the game is very interesting, it didn’t receive lukewarm reviews due to complex controls and glitches. 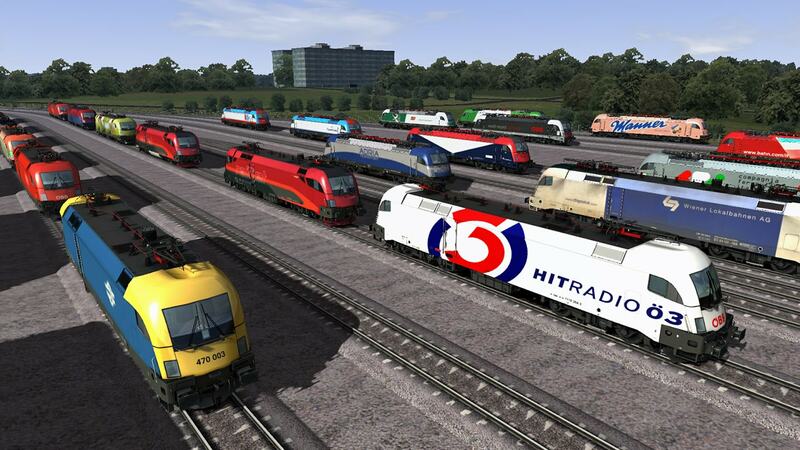 We think that there’s no need to explain what this game is about, as its name Train Simulator 2016 tells it all. The game focuses on driving a train and exploring the game’s locations based on the real-world locations. There are many Train Simulator game in the series, but we decided to choose this one because it’s the newest and currently the best game in the series. SimCity 4 is a city-building simulation game with the focus on building and managing a city from scratch. The game requires the player to form the landscape and design his own settlement, which can potentially turn into the city. If that happens, the player can control various parts of the city and the industrial, commercial or residential part of the city. Later part of the game is much harder because the player needs to take care of the city’s environment and finances in order to succeed. On top of that, the game features realistic day/night cycle that has an impact on the game flow and increases its overall realism. While the SWAT 4 is primarily FPS, it contains strong elements of simulation. It’s a tactical FPS game in which you are a commander of a SWAT unit, consisting of 4 members. Each member is customizable, and there are many different arms and sidearms. As a commander, you can command your members and complete levels in a way you like it. The mission is complete if the suspect is arrested or murdered, although murdering the suspect will result in losing some of the points earned. We put this game on the list because it really gives the player a feeling of being a commander of an elite police unit, where you can arrest or possibly kill a suspect if he fires at you. Falcon 4.0 is another combat flight simulator, released back in 1998. The game is focused on the campaign, which begins with the training and learning the controls of the game. After that, the player is put in the role of the male or female pilot, participating in the modern war. Falcon 4.0 campaign begins with the war between North and South Korean forces, where the United States deploys a support for the South. As the player is tasked with helping in the war, he can further determine the flow of the story and possibly involve China and Russia. iRacing is a racing simulation released back in 2008. It has strict rules of racing based on the real racing events and also contains many licensed, real-world cars. Cars are customizable and different settings can be turned off or on, in order to make the game more accessible for some users. Traks are imported directly from the real world to the game using LIDAR laser scanning technology and thanks to that, the game has 100% real tracks. The game is available for Windows, Mac OS and Linux and users could subscribe to the game service at any time. Spintires focuses on simulating off-road conditions and vehicles thus being the off-roading simulation game. The goal of the game is to transport the cargo from one destination to another while driving through the various off-road conditions and locations using Soviet vehicles, mostly trucks. There is a dynamic weather and day/night cycle which makes the game harder and unpredictable, along with realistic physics and vehicle handling to make it one of the most challenging simulation games. Although it’s an indie game, it was well reviewed by Steam users, and it’s still very cheap game, accessible to everyone who dares to indulge in the brutal off-road terrain of Spintires.